Now Offering Unlimited Wash Club! Our car wash packages get your vehicle clean from rims to roof. Our car care services include detailed rim cleanings, foaming presoaks, and products to protect your car from rust and other damaging elements on the road. 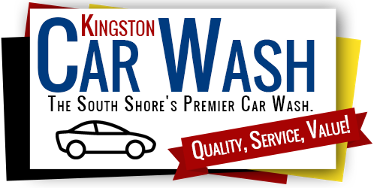 Kingston Car Wash is a modern automatic car wash facility servicing customers in and around Kingston, Massachusetts. We are an environmentally friendly business, and we use only the best quality equipment, high-pressure recycled water, and soft cloth technology to protect your car and give it the ultimate shine every time. We are a small, family-owned business with roots in the local community and more than 25 years of experience. Your satisfaction is our top priority, and when you trust your vehicle with our team, you can be sure we'll treat you just like family. We offer free basic car washing services to members of our local and state law enforcement vehicles as a way to say thank you for your service to us. You're sure to turn some heads when you leave our lot. Our car wash services will have your vehicle shining like new. When you're ready to freshen up your ride, visit us and we'll have you back on the road in no time.